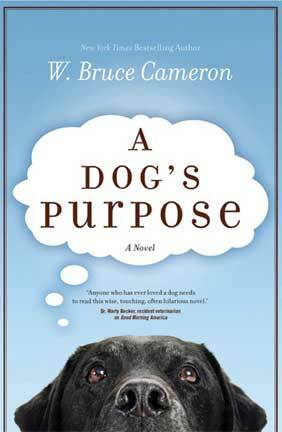 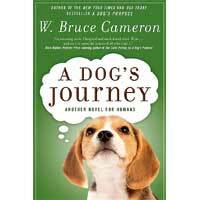 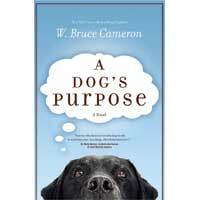 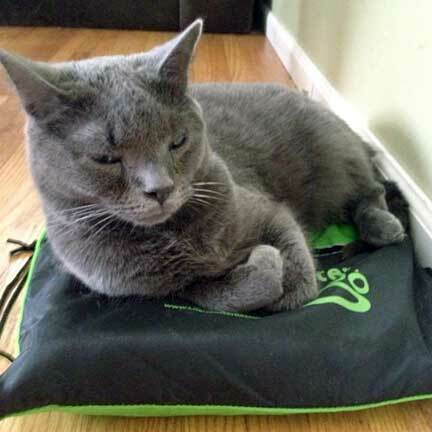 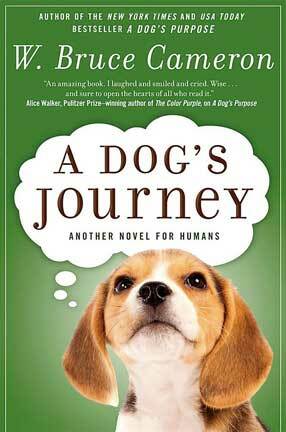 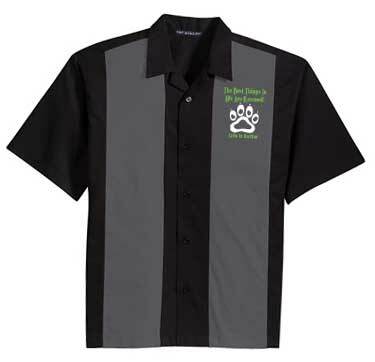 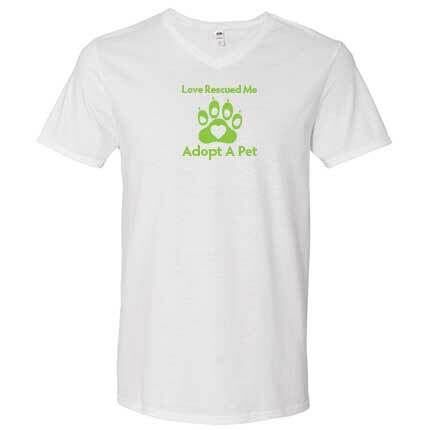 ALL the proceeds go to help animals in need. 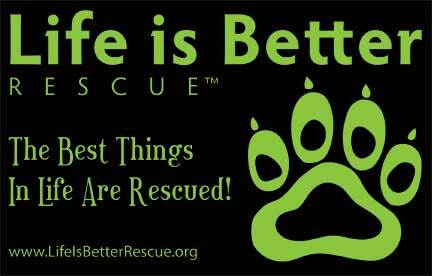 Every penny makes a real difference. 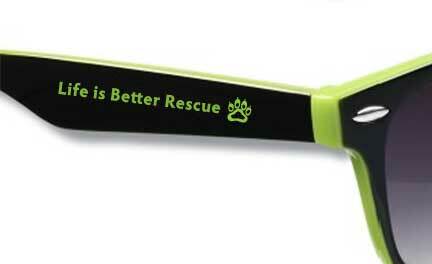 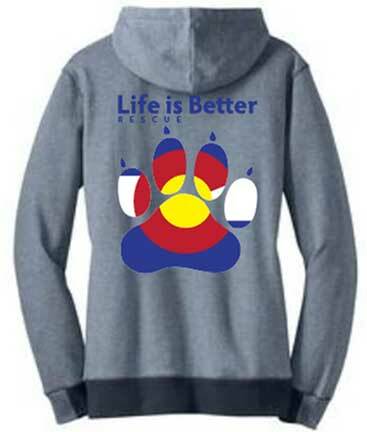 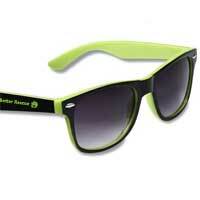 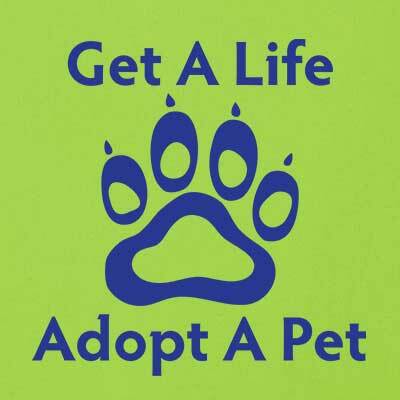 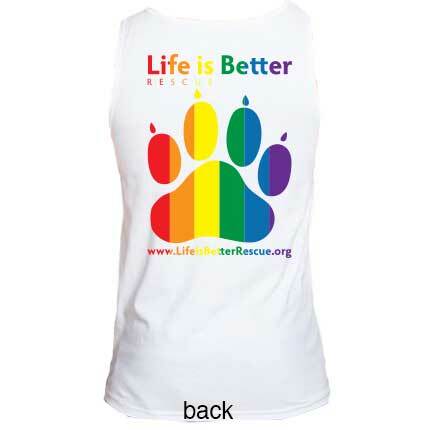 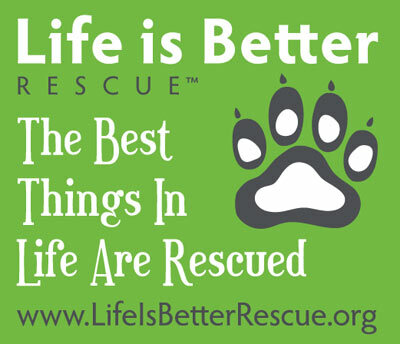 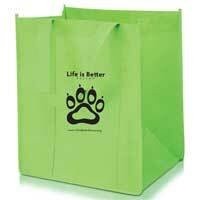 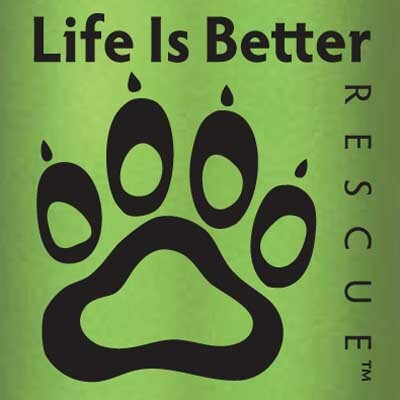 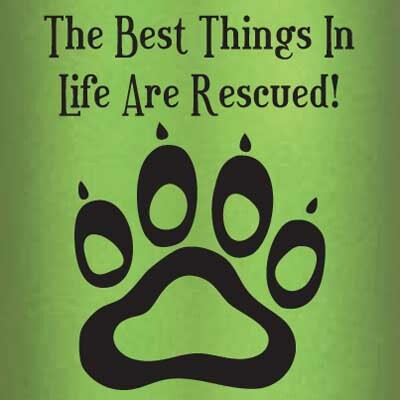 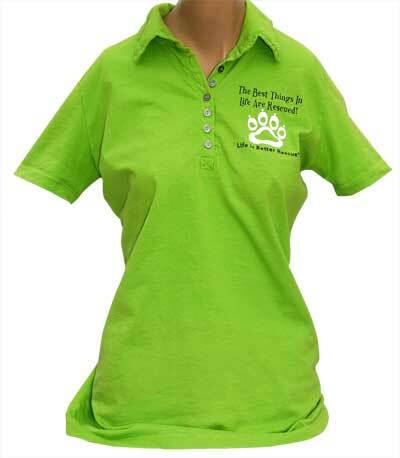 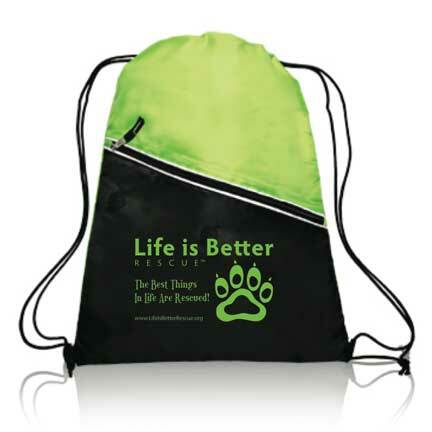 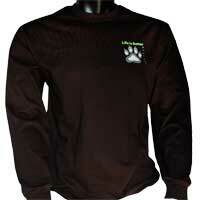 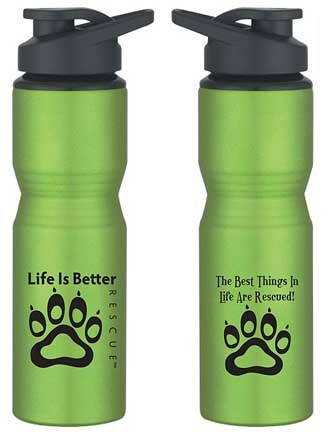 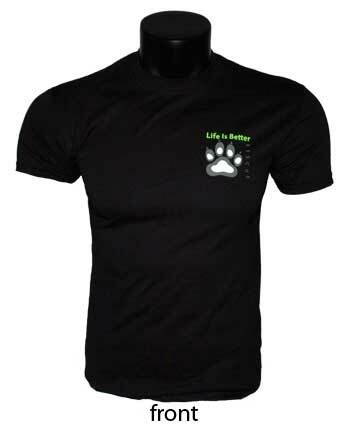 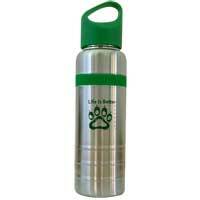 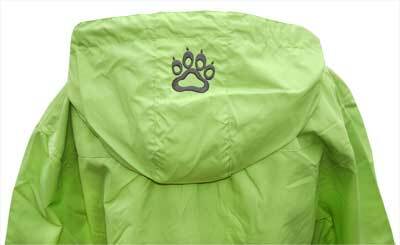 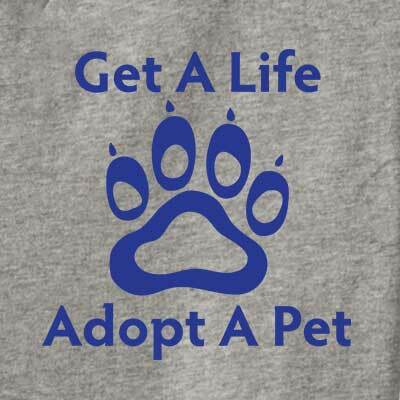 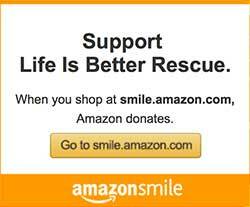 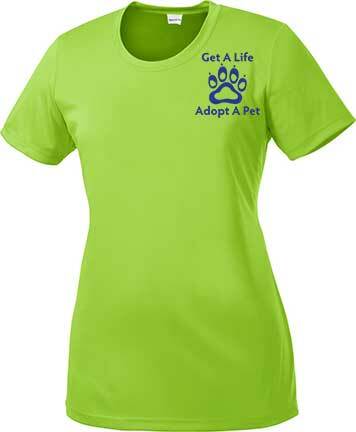 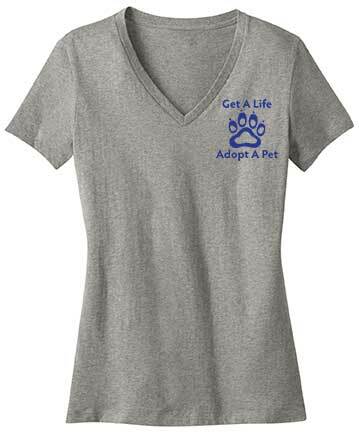 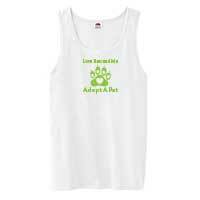 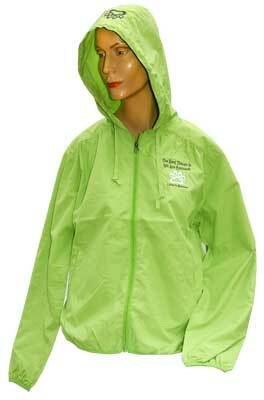 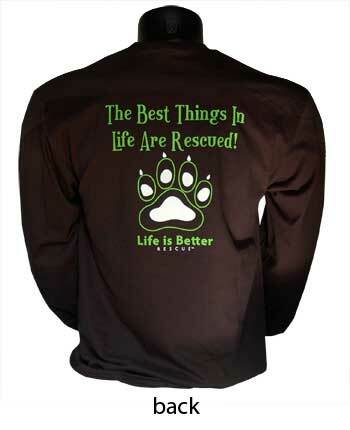 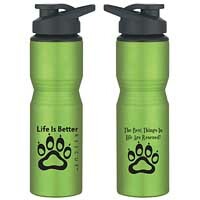 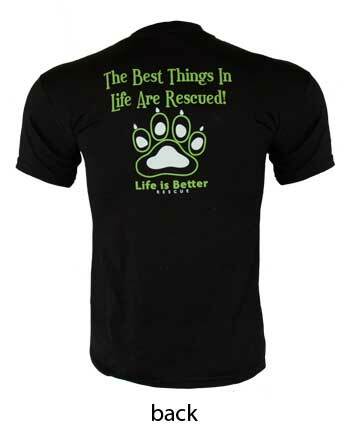 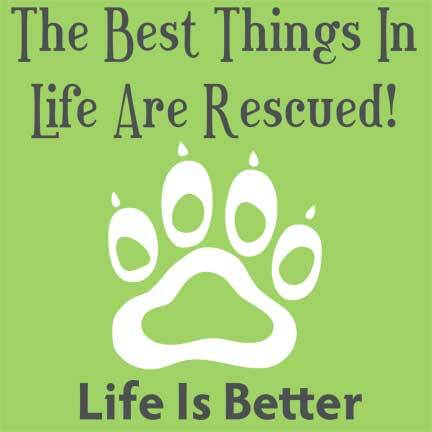 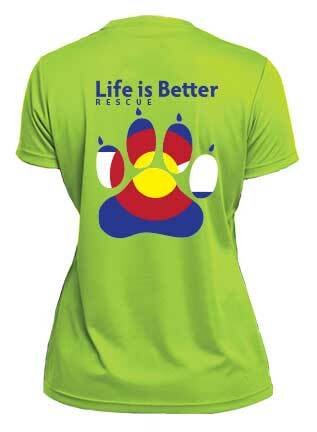 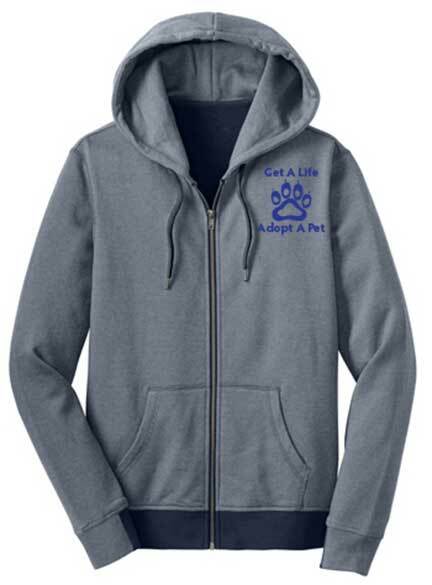 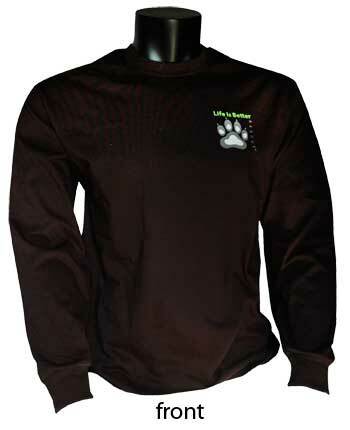 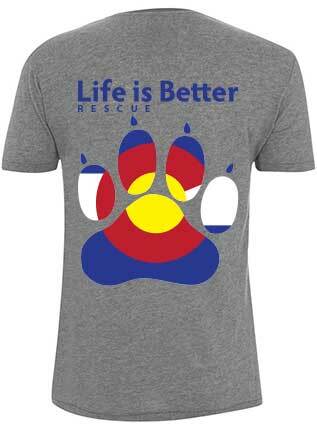 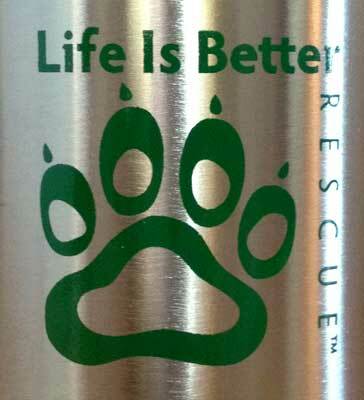 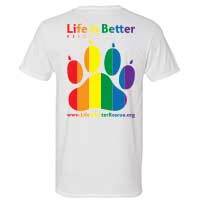 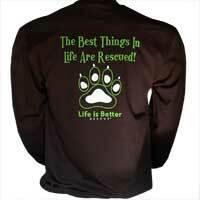 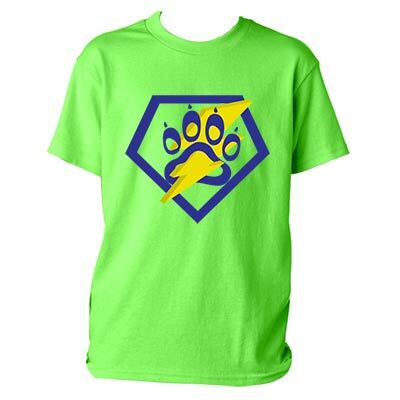 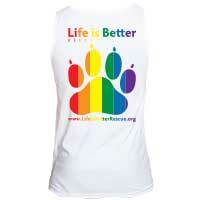 Get your Life Is Better Rescue merchandise today and let the world know that you support animal rescues. 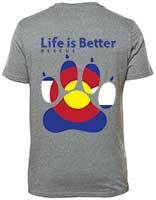 We ship via USPS. 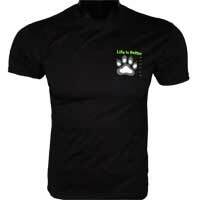 View our shipping rates. 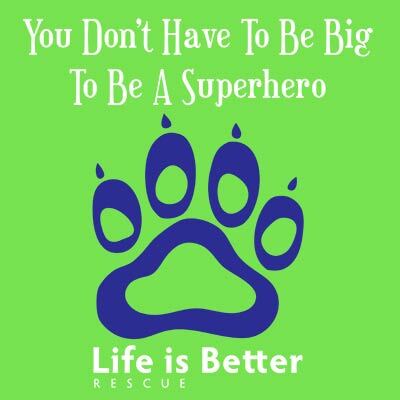 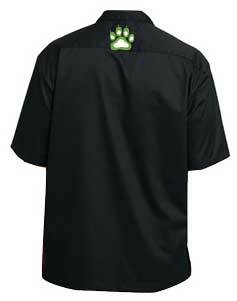 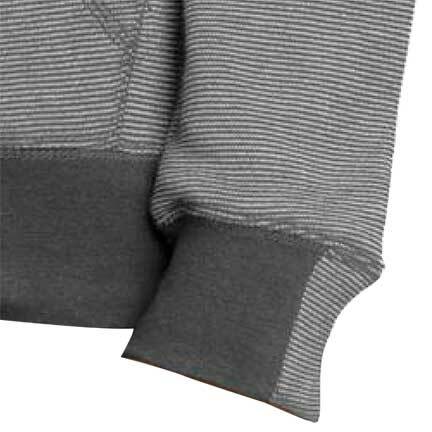 Back design is "You Don't Have to Be Big To Be A Superhero"
Shipping is based on the number of items ordered.